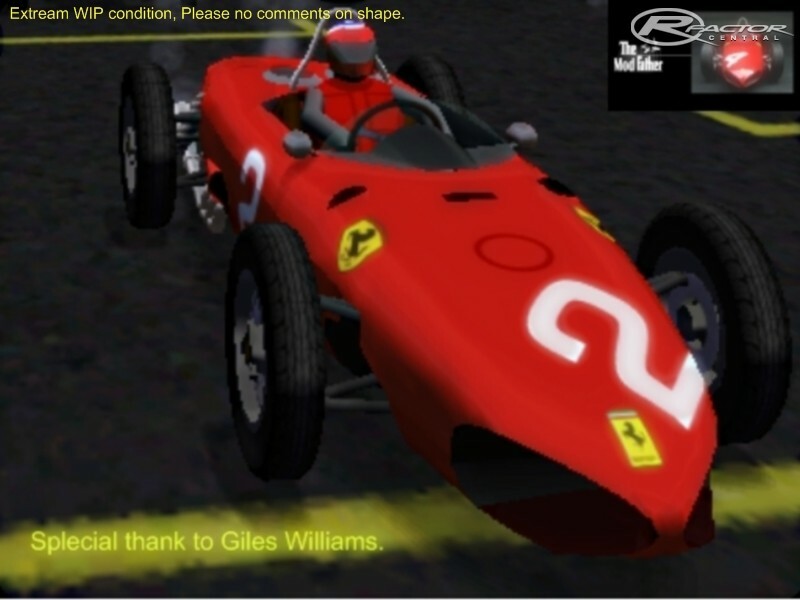 We are a small but committed group of racing enthusiasts who’s aim is to provide racing sim mods of highest standard possible. Please be assured that as soon as updates on the progress of our mods becomes available, we will endeavor to keep you the fans 100% up to date. 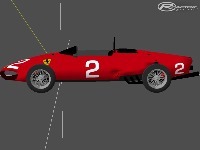 - Ferrari 156 Sharknose in game. - Still very much in WIP stage 15% complete. 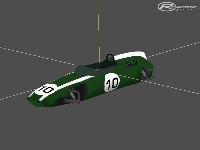 - Cars represented to date are as follows. 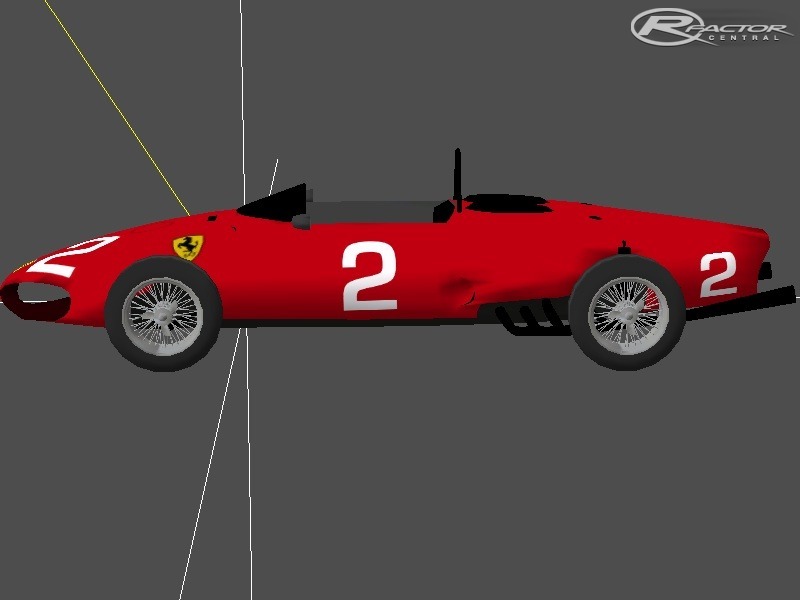 Ferrari, 2X Lotus, 2X Porsche, BRM, Cooper Climax, and Ferguson. F1Lover: I-have models and do some stuff if Any groups modding wants a go ..
Is someone still has the models? I would be very interested by some for making cars "Tasman"
Can someone continue this mod? 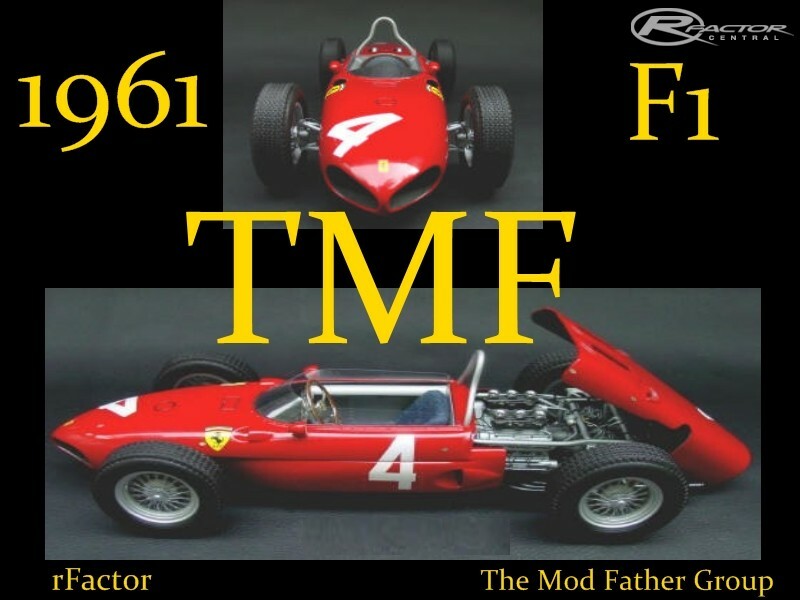 A competent one who's a passionate of Formula 1961? 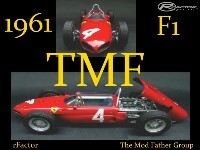 We need someone to make this mod with heart..
Actually TMF is now F1-S-R.. but yes this mod is not going to be released.. I do have models and some stuff if any modding groups wants a go.. Please PM me. Sorry guys. Looks like this is a dead mod. I went to the TMF site and it's been abandoned. What a shame. I only hope some good mod maker will do this 1961 mod. I am so disappointed because I love this era not to mention the Tipo 156. I was wondering if this mod is still alive and well ? I don't mind waiting but let me know if my wait is in vain. What a shame if it's dead. Absolutely the best F1 season ever. Sign me up - I'm a fan as of RIGHT NOW!! PLEASE, PLEASE, PLEASE - FINISH THIS MOD - - AS A PUBLIC SERVICE - FOR US OLD GEEZERS!! Awsome! 61's are my favorite! I can wait, but then again I can't! We want at least one beta car to test please!